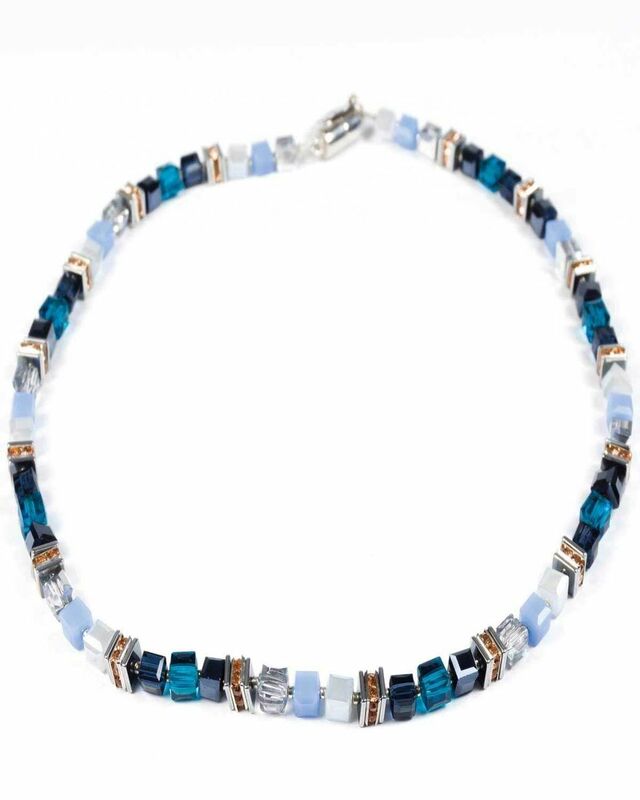 Blue Necklet. Lending a touch of individuality to any outfit. Crystal, rhinestone and hemalite with a sterling silver magnetic clasp. Supplied in a presentation box. Lending a touch of individuality to any outfit. Warning - Magnetic fields could affect the function of a pacemaker or other electonic medical device.